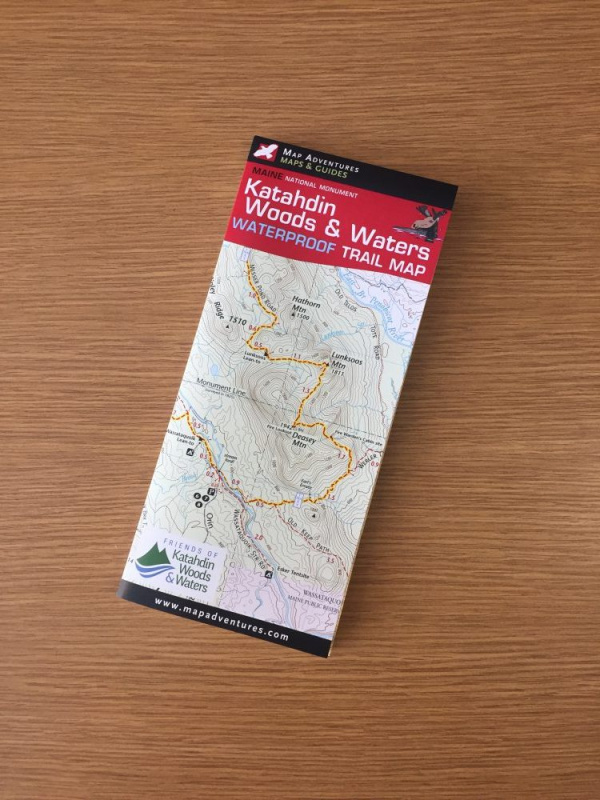 From Map Adventures – makers of popular Baxter State Park and Acadia National Park maps – comes the first waterproof recreational map of Katahdin Woods and Waters National Monument (KWWNM). This easy-to-use map details trails and activities for hikers, mountain bikers, fishermen, canoers, kayakers, skiers, and snowmobilers. For paddlers, there’s details about the two major wild rivers that run through the monument, the Seboeis River and the East Branch of the Penobscot River, which offer stellar whitewater and flatwater river experiences. The Map Adventures KWWNM map also includes the communities, towns, and trail systems surrounding the park. We encourage people to try the outdoor and wilderness activities offered by nearby businesses – it will only add to your understanding and experience of the monument.